Caroline from My Country Girl Ramblings has joined me again today on #CraftAdvent2015 to share this sweet Christmas Eve idea. 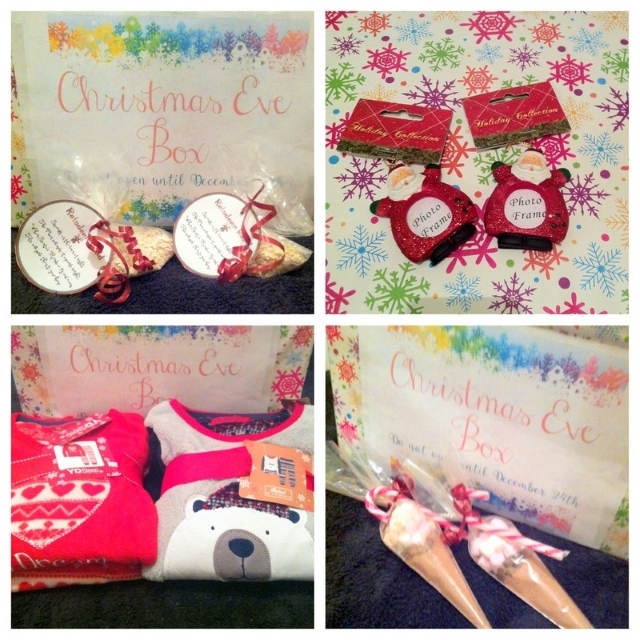 I haven't tried this before, as we have a 'December Box' which comes out on December 1st and contains all the Christmas themed books, our fabric advent calendar and a few decorations to start the month off in the right mood. There's always room for creating more fun traditions though - and I'm sure my girls would love to receive something like this on Christmas Eve! When I heard that Sadhbh was hosting #CraftAdvent2015 I just knew that I had to be involved for two reasons; I love Christmas and I love to craft. The thing about what I'm sharing today, is that anyone can do it. The thing that you will be making is MAGIC. That's what Christmas is all about for me. Making magic and memories. This is so simple to do but my kids get so excited about it every year. It's great for taking the edge off on Christmas eve. My two always want to open their presents early and this does the trick. It also gives up something to do on what can be a very long day. Firstly cover your box with the wrapping paper and put whatever label you want on it. I made my own and taped it on the front but there are loads on pinterest if you go looking. Then just fill up the box with the goodies! Most of the goodies are things that your kids would get at this time of year anyway but putting it in the box and making it a tradition makes it that much more special. Don't forget to check out Caroline's other post in this Craft Advent series HERE!